The new live action Cinderella movie comes out in a few weeks (March 15, 2015) so I decided to put together an inspired outfit. I always end up wearing jeans and a hoodie when I go to the theater... so this is one of those "what I would like to wear" posts! It gives me an excuse to browse fashion websites and hopefully inspire myself to dress up! This stretch knit skater dress looks so comfy! And for only $15 from Forever 21 your wallet can rest easy, too. The signature light blue color is the perfect hue for our Cinderella outfit. Cinderella's classic puffy shoulders are cute and all, but I love the new look of the live action sleeves. 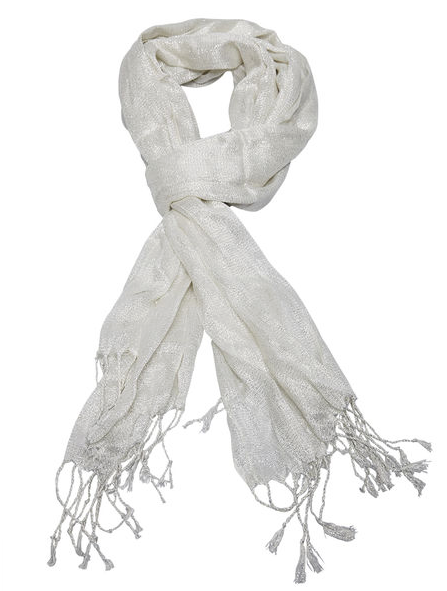 To replicate the ruffled neckline I found this glittery fringe scarf from Wet Seal. It's all about sparkle and shine for Cinderella, and you don't need a fairy godmother when you have the internet. Charlotte Russe has these fabulous blinged out glitter tights which are sure to turn a few heads. A glass slipper may be the key to finding your prince charming so don't leave home without these gorgeous metallic slip ons also from Charlotte Russe. Keeping track of the time is incredibly important especially once it gets close to midnight. 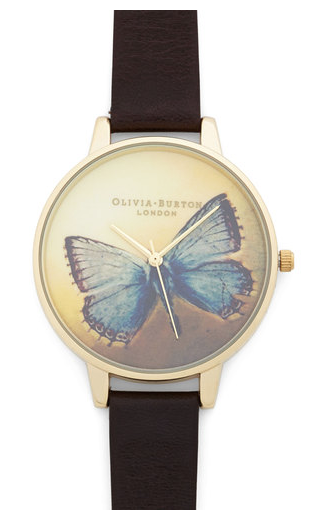 So don't be a minute late with this stunning butterfly watch from Mod Cloth. 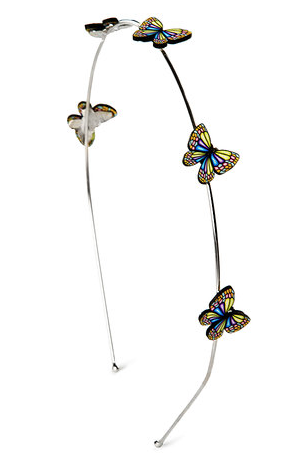 Complete your look with loose wavy hair and wearing this lovely butterfly headband from Claire's. Are you excited to see the new Cinderella movie? A lovely outfit. And the color on that dress really is perfect. This is such a cute outfit that I want all the pieces! 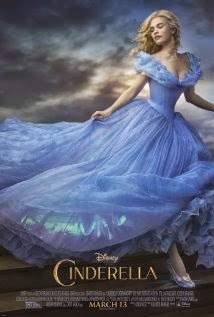 Was so stoked to see Cinderella's coming out!! Did you see they've got a nail polish collection! ?